Weed your garden with ease with the Corona eGrip Weeder. 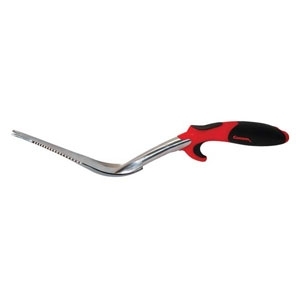 This weeder features a cast-aluminum blade for cutting roots and ripping bags. The comfortable grip makes for easy gardening, and anti-slip thumb rises and finger guards offer greater stability and control.